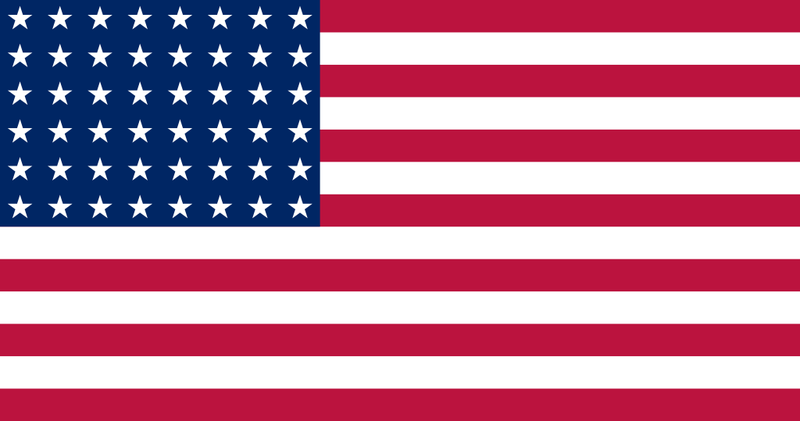 Plik Flag of the United States (1912-1959).svg znajduje się w Wikimedia Commons – repozytorium wolnych zasobów. Dane z jego strony opisu znajdują się poniżej. aktualny 21:09, 28 lut 2019 1235 × 650 (1 KB) Sshu94 Reverted to version as of 19:16, 21 March 2013 (UTC) The diameter of the stars is about 80 percent of the width of the individual stripes according to the tables in the construction sheet. The stars on the current version are too large. 21:00, 15 sty 2011 1900 × 1000 (9 KB) Zscout370 Some of the measurements were off.